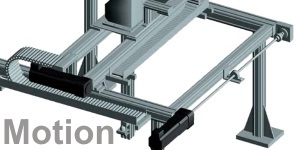 Robotics Solutions Advisor - RoboticsSA - Welcome to the Frontpage! RoboticsSA develops the best automation systems tailored to improve productivity and overall profits for all company sizes and industries. A wave of new products aimed at increasing productivity, quality and consistency of human work will drastically amplify the capabilities of human professionals. When you are ready to explore an automation solution, contact us for a complimentary review of your application. You can easily adapt your site to any screen size or device. Simply resize your screen to see it all in action. This design comes with options like multiple menus, highlight colors, Google Fonts, dozens of positions, and more. This month we also are launching the new Image and Content Fader V4, now with an article integration method. CEVC, emtech, ASBAN. Venture Forums road show.